Planetary gearboxes have the highest continuous torque capacity of all types of gearbox. At the same time they have a very compact form, low weight, and excellent efficiency. Self-centering planet gears ensure a symmetrical force distribution. The ring gear also forms the housing of the gearbox. The gearbox output shaft is supported in two ball bearings so that it can withstand high axial and radial loads. The gearboxes are customized, e.g. for use in especially low ambient temperatures, or as high-power gearboxes with reinforced output shafts, or with special lubricants for very long service life. 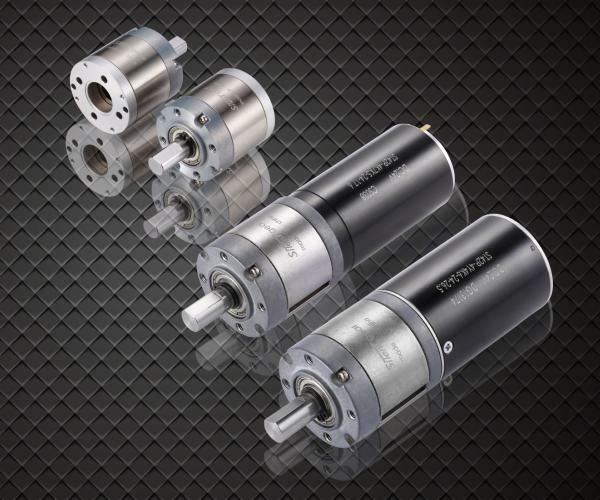 For high torque, high performance applications, the ideal combination would be the robust Dongguan Silent planetary gearheads combined with micromotors.For applications requiring medium to high torque, Dongguan Silent offers planetary gearheads with high performance metal construction. Planetary gearheads are offered with several shaft bearings including sintered, ceramic, and ball bearings. Please contact us to get detailed specifications and drawings for the geared motor you're looking for. Copyright©2000-2019Dongguan Silent Industry Co.,LtdAll Rights Reserved.